Meditation teachers are a very kind and friendly bunch, who are passionate about sharing their knowledge with you. They know what it’s like to meditate for the first time, as once they were beginners too, and have also struggled with many of the same thoughts, questions and feelings that will arise for you. They will normally talk a little bit about the practice up front before leading you into meditation. Do feel free to share your experience if you would like to, and they are always happy to answer your questions, and in fact usually will encourage this. Many people that first come to meditation think that they have to clear their mind of thought, or that their mind is too busy to meditate. However, our mind thinks, that’s its natural way of being; just like our senses, we can’t stop seeing or hearing, so it’s very normal for thoughts to come up during meditation. The idea is to notice and bring awareness to our thoughts, doing our best not to attach to the story of them, and bring ourselves back to the present moment, without self-judgement, and with compassion. It doesn’t matter how many times your mind wanders off, the simple act of noticing and brining yourself back to the moment is the practice of meditation. Sometimes meditation can be incredibly relaxing, and sometimes it can be restless, or frustration may come up; every time will be different. It’s important not to have an expectation on yourself, or of what your experience will be like that day, as sometimes when we get still, especially if we are going through some underlying stress, or if we’ve been pushing some feelings away, they can come up when we get quiet. Even if you have a very busy mind the whole meditation, know that you are still gaining the benefit of the practice, and that you’re processing stress within the body. There is no good or bad meditation. I love the saying “we don’t meditate to get good at meditation, we meditate to get good at life”. It’s not so much about what happens on the chair, it’s what starts to happen when your eyes are open, which is the indication of the benefits. 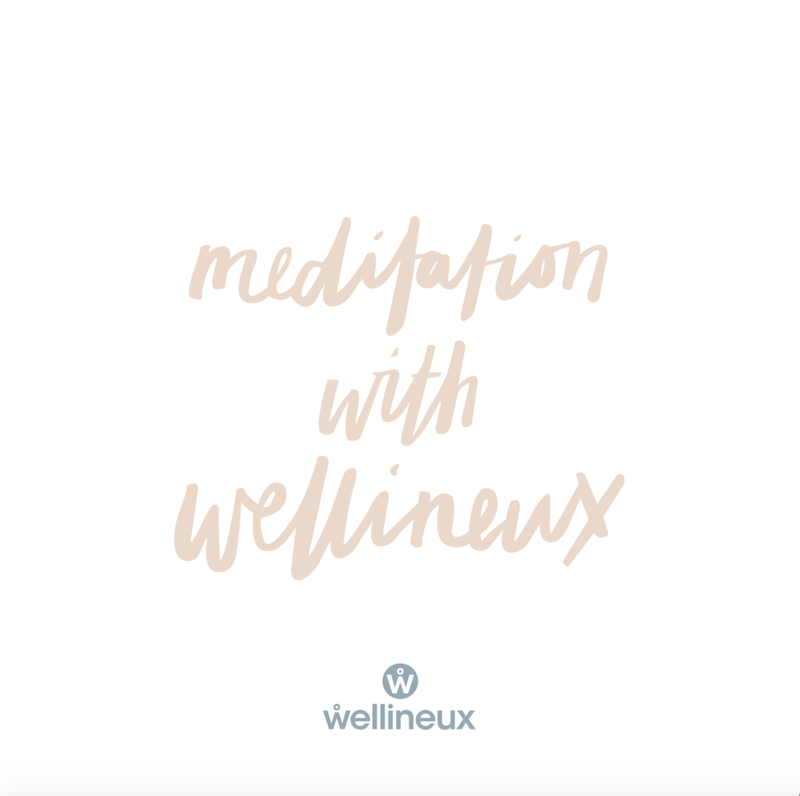 Over time you can become less reactive, anxiety levels can lower, and you can feel more productive, which are among the many positive shifts that meditators experience over time. The hum of daily life can often be going on around us and outside of the meditation area. Just like life, meditation spaces aren’t always quiet; as much as the teacher will do the best they can to create a peaceful environment for you. Noticing your senses is one of the quickest ways you can bring yourself into the present, so if you find you get distracted by sound, you can actually use this to bring yourself back into the moment, and even use it as a tool during the meditation. A straight back but relaxed posture is good for meditation so that you can breathe properly, and it allows the energy flow to travel through your body. Many studios have specific chairs, or you can often lean against a wall, or even sit in an office chair or couch depending on where you are. You don’t need to sit cross legged unless you want to, and it’s quite okay to have your legs out in front of you if that’s more comfortable. Lying down is also an option, although sometimes if you’re tired you can tend to fall asleep. You should feel free to adjust your posture if you need to, just be sure to do it mindfully to the others in the group. Falling asleep is quite common when you first start meditating. It’s usually a sign the body is fatigued and probably is in need of a bit of rest. It’s totally okay, over time it gets easier as you get used to meditation and ultimately you should aim for a relaxed alertness. Sitting upright can help this. So, if you’ve been wanting to try meditation or feeling a little nervous about whether you can, know that everybody can meditate, sometimes it just takes a little getting used to. Curiosity and experimentation are the best way to approach it, so do your best to have an open mind, try out ways of sitting, and also the different styles the teachers bring to the classes, to see what works for you. Just like exercise and going to the gym, it can take a little time to notice the benefits, but I assure you that once you get into the rhythm of it there are numerous ways it enhances and brings a more positive mindset into your life. Come along and sit with me for a while. After an extensive career in the corporate world, she brings her knowledge of what it’s like to work in a high pressure environment to her coaching, with a focus on improving health and wellbeing, creating clarity and focus, as well as incorporating mindfulness techniques to reduce stress, while simultaneously increasing positive mind states.